Sola Yomi Ajayi is currently the Country C.E.O, UBA NewYork. 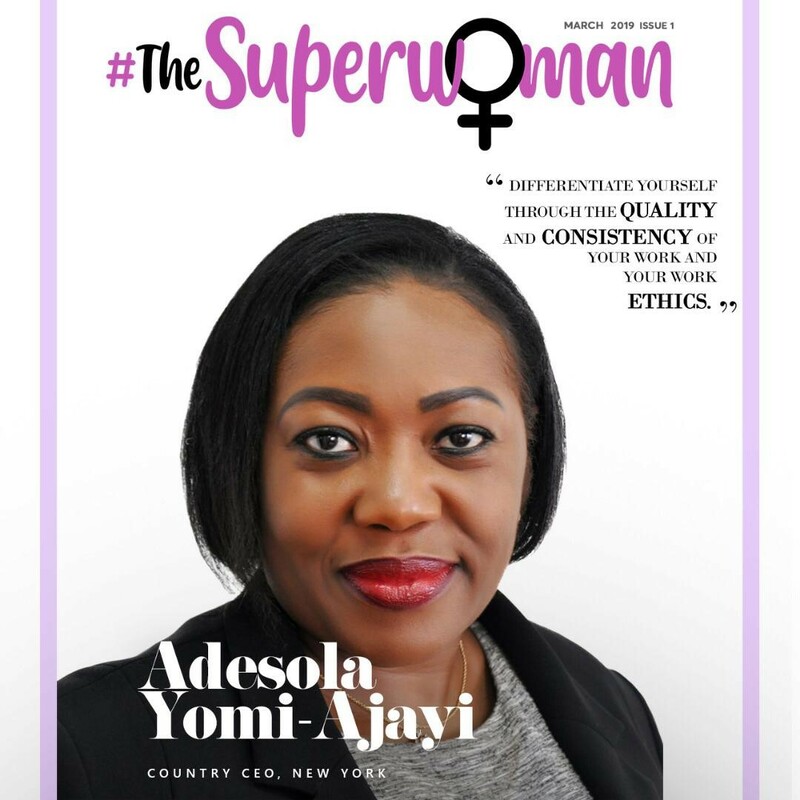 With a first degree from Obafemi Awolowo University and an MBA from the Aberdeen Business School, Sola is a highly experienced banker with over 22 years of banking experience. Her specialization cuts across Business Development (managing Corporate and Institutional relationships), Structured Lending, Transaction Banking, Commercial Banking, Correspondent Banking, and Banking Operations. She shares a few insights into her career and success with us. How have you balanced work and personal life in becoming successful? I am able to integrate what I do into my personal life in a manner that both co-exist with minimal friction. I have a strong support system that helps ensure I stay focused on the big picture and my career goals, without compromising on family time and family values. Technology has played a very important role as I’m able to expand the boundaries of my office. My office is conceptual and very mobile and that way, I ensure I meet all my commitments. To be a great leader, what are some essential traits women should have? A woman needs to be assertive while retaining her feminity, passionate about what she does and her convictions without being emotional. She should not expect concessions, rather, need to be consistently diligent and thorough, and earn her seat at the table. A woman should never give up, rather, see setback as an opportunity to learn, reflect and bounce back. What more do you think can be done to promote women development in the workplace? I think organizations should be more accommodating about flexible hours while women should also not abuse this. After all the success, what do you struggle with now? I struggle with slowing down mentally. My brain is rarely at rest and I am always playing scenarios in my head as well as thinking about the next challenge and next ladder to climb. I would love to switch off and unplug for a day or maybe two but then, that would not be me. What advice would you give to your younger self and other young women? I think it will be to slow down a little and enjoy the ride. It is true that it gets cooler at the top, but, it never gets easier thus, enjoy every moment and every win. My advice to younger women is to be diligent, but more importantly, to differentiate yourself through the quality and consistency of your work and your work ethics. Be ready for that opportunity and when it shows up, do not over analyse it, believe in yourself and run with it. Remain focused and strive to be the best version of yourself at all times.